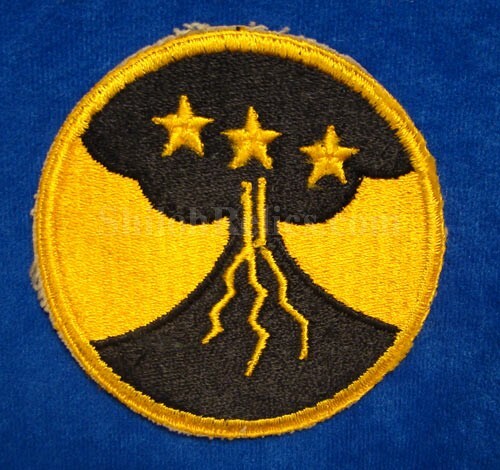 This is the cool shoulder patch that was worn by a member of the forces that retook the Philippines. The Philippines were under Japanese attack only 10 hours after the bombing of Pearl Harbor. That is why retaking the island was so important to the US. According to the book. These were never officially adopted but were worn from approximately 1946 until 1948. 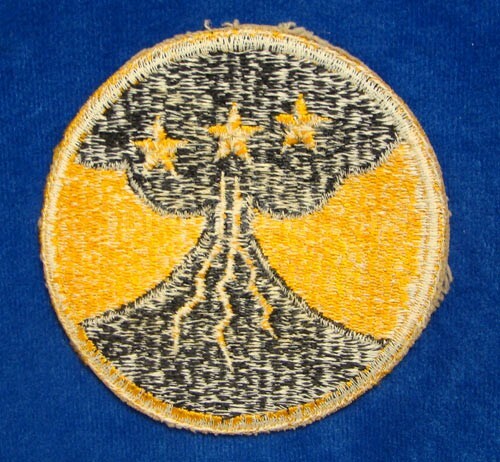 The large circular patch that measures 3 1/4 inches across has the 3 stars for the principal islands of the Philippines. This one would date from the ww2 era because of the material it is made from and the construction. This one as you can see was worn but displays well. it is a "no glow" under the black lite test, which means the material is correct for the WW2 and WW2 occupation forces era (1940-1950). It has a great look all over.